Ever want to have a go at making a game? Well now you can! 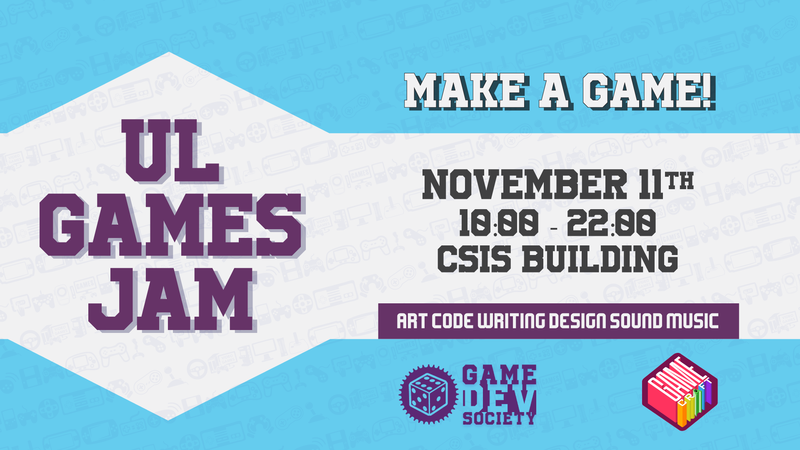 University of Limerick's Game Development Society is holding a Game Jam on the 11th of November 10AM-10PM. Not a student? Not a problem! This event is open to everyone, from first-timers to experienced veterans. All forms of games are accepted: Digital games, board games, card games etc. Check out the Facekook event where we will be faster at replying to comments. Please pick up the free ticket on the Eventbrite page, to give us an idea of what number of people to expect. The event is being run by UL Game Development Society and GameCraft. Attendees can form teams or work individually. The organizers will assist in the creation of team, and pre-made teams are allowed. * Should an organiser find an attendee's behavior to be inappropriate for the safe enjoyment of the game jam the organiser will take appropriate action. A tiny amoeba with big dreams.